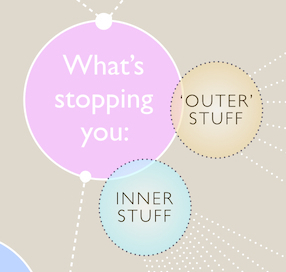 Feeling stuck, blocked or confused? What is The Spectrum of Creative Stuckness? It’s a sanity-saver for creatives. It’s the culmination of my 20-year study of the creative process. It’s my gift to you. Whenever you are troubled by the gremlins of creative stuckness, you can refer to the flow chart for a quick-&-easy dose of comforting clarity and soul-soothing solutions. 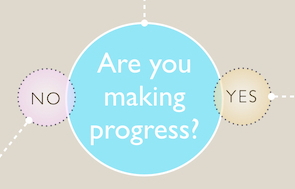 precisely what you are struggling with in your creative work or life. Because identifying the problem is half the solution. When you know what you’re dealing with, you’re in a much stronger position to know what to do next. And clarity is so much more fun than confusion. Because not all blocks are created equal. So you need the right tool for the job. This will save you many a frazzled wobble or frantic tantrum, wondering what on earth the problem is and where to start to fix it. These remedies are based on my coaching toolkit – my matrix of solutions, tips and tricks to help you get back into creative flow. And once you know the remedy, you can get busy with the solution and move past that pesky creative stuckness. Would you like a copy of the flow chart? Fill in the form >>> and you’ll receive my sanity-saving flow chart before you can say, “That sounds amazing…”. And because I’m always discovering more tips and tricks to keep your creative spirits up, I’ll also send you my weekly email boosters. So get ready to relax and discover a new phase of support and solution in your creative adventures. … because happy creatives are good for the planet. Website designed by Pepper White. ©Copyright Danielle Raine 2019. A free sample from The Muse Spa digital retreat for creatives. Sign up to receive further info and immediate access to the full Muse Diet treatment module, from Week 1 of The Muse Spa programme. 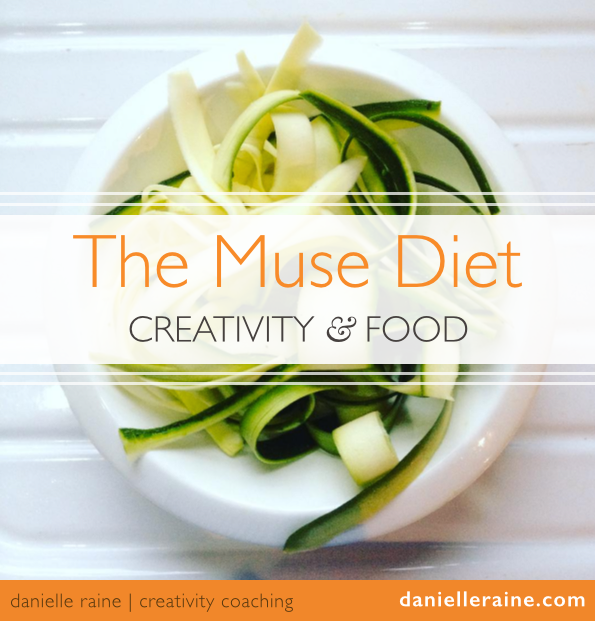 The Muse Diet is on it's way to your inbox!